McHenry County College culinary students are busy fine tuning their recipes for Tartan Bistro, the college’s student-run restaurant. Tartan Bistro will re-open to the public for the spring semester on Thursday, Feb. 14. Restaurant hours are 6-7:30 p.m. on Wednesdays and Thursdays through May 9. Starting Feb. 14 and throughout the month, Tartan Bistro will feature a $30 Prix Fixe menu, which means “set-price.” New menu items will include a vegan stuffed portabella mushroom and gluten-free shrimp and pasta dish. Returning favorites included the seared scallop appetizer and steak medallions. In addition, limited beer and wine service will be available again with new selections. “Tartan Bistro is more than a restaurant—it’s the college’s spring capstone class in the culinary degree program,” said Chef Tina Drzal, culinary management instructor and program chair. “We’re excited for our students to showcase their talents when Tartan Bistro participates in the new McHenry County Restaurant Week that will be held Feb. 22 through March 3,” Drzal said, adding that the event is sponsored by www.visitmchenrycounty.com. Reservations are limited and table sizes will be restricted. For reservation requests, send an email to tartanbistro@mchenry.edu. 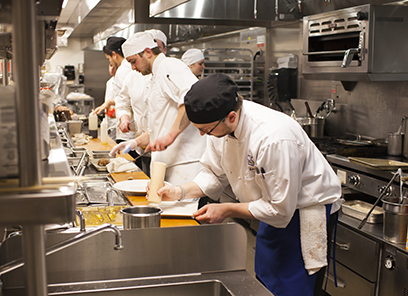 For more information about MCC’s Culinary Management Program, visit www.mchenry.edu/culinary.